For gun owners looking for a smart and convenient way to carry all the necessary gun-care supplies, as well as a handy screwdriver kit! 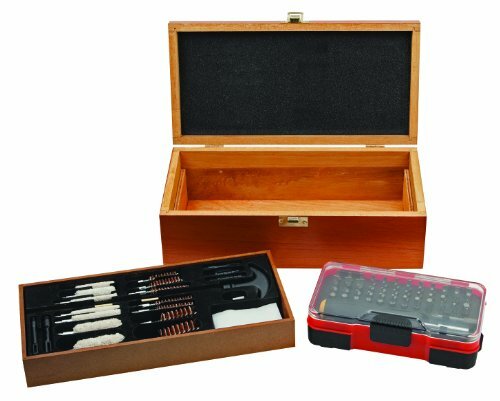 Outers 25-piece Deluxe Universal Gun Cleaning Kit features a complete assortment of gun care products to clean shotguns, rifles and handguns. The kit accommodates:.22-30-cal rifles; 9mm and.38-45-cal pistols; and 12-gauge shotguns. The handsome wood chest also includes a 51-piece screwdriver and bit set for a variety of light gunsmithing or scope-mounting tasks.